Bonzo can be heard counting "three, four!" before the band launches into Immigrant Song. Plant mentions how nice it is to be back in Switzerland working with Claude Nobs before Since I've Been Loving You. Plant is in good form during Black Dog. The end of an eerie bow solo in Dazed and Confused is punctuated by Bonzo's crashing gong and Plant's ethereal wails. Page's improvisation gets the band a bit lost during the guitar workout. He shreds through the guitar solo, the return to the main riff is explosive. There are tape issues throughout Stairway to Heaven, the worst during the guitar solo. Plant welcomes "everyone who's come from Milan" before That's the Way. Plant makes a comment about capitalist bootleggers before the first complete performance of Celebration Day. The band misses the cue for the first chorus, throwing Plant off track for a moment. Page botches the beginning of the slide solo in What is and What Should Never Be, briefly confusing Bonzo and Jones. Whole Lotta Love is preceded by a heavy jam. Plant gets into a call and response screaming match with the audience during the theramin freakout. The medley includes That's All Right, Ramble On, B.B. King's Gambler's Blues, I'm a Man, Muddy Waters's Honey Bee, as well as an excellent lengthy blues improvisation. The band returns to the stage to close the show with the first rare rendition on Eddie Cochran's Weekend. The tape is a bit distant and muffled with a few tape issues in the middle. Enjoy the site – disagree with review. 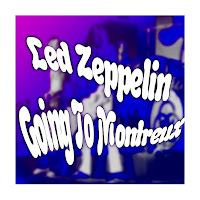 Tape issues/amateur recording aside, this is as close to “must hear” as can be for fans of 71 Zep, with a solid performance and high energy, and Plant in fine voice, and a responsive audience. This will go straight to “must hear” if a soundboard ever comes out. It's interesting to see two comments that disagree with my assessment. I don't think I wrote anything particularly negative. I honestly don't remember any specific details of this tape. I'll have to go back and have another listen. P.S. If you log-in before commenting, you can choose to be notified when someone replies. Might make it a bit easier to continue the conversation. I'm with the original review. Good performance, interesting and significant setlist, but hard to listen to at times. I guess if it's a must hear it's only from the historical interest. Tinny and distant IMHO.